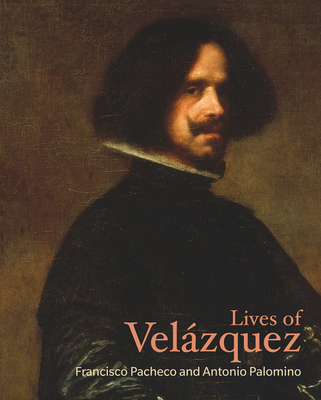 Lives of Velázquez brings together two seminal early accounts of the great seventeenth-century Spanish painter (ca. 1599–1660). These texts, written by his contemporaries Francisco Pacheco and Antonio Palomino and newly translated for this volume, serve as our main sources of knowledge about this groundbreaking artist. Pacheco’s biography reveals the scale of the challenge to traditional painting presented by Velázquez’s immense talent. Palomino’s text, while precise and detailed in its narrative of the artist’s life, also tackles the aesthetic debate generated by the painter’s choice of subject matter and style. The painter Francisco Pacheco (ca. 1564–1644) was Velázquez’s teacher and, eventually, father in law; his biography of the artist was part of his larger theoretical work The Art of Painting, which has long been an important source on seventeenth-century Spanish art. The Baroque painter Antonio Palomino is the author of El Museo pictórico y escala óptica; its artistic biographies have caused Palomino to become known as the Spanish Vasari. Born just after Velázquez died, he knew many of the painter’s friends and colleagues, on whom he drew extensively for this study.